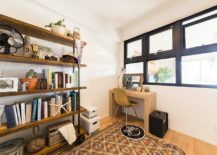 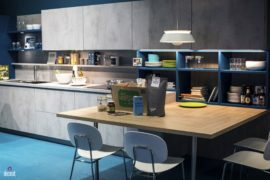 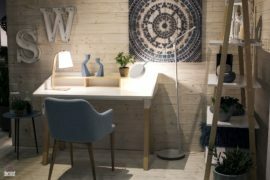 The idea of a dedicated home office has changed from being a unique and ‘additional’ space to something that is mandatory of sorts in the last few years. 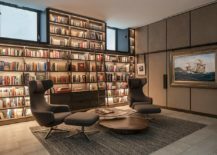 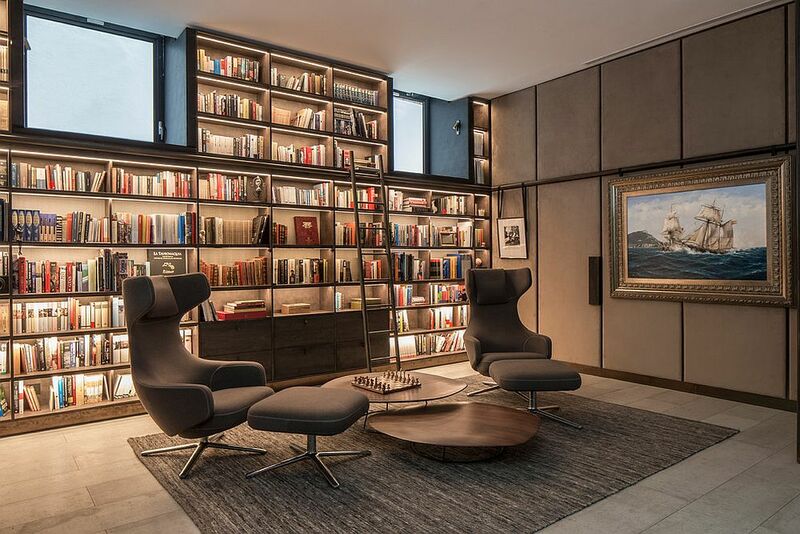 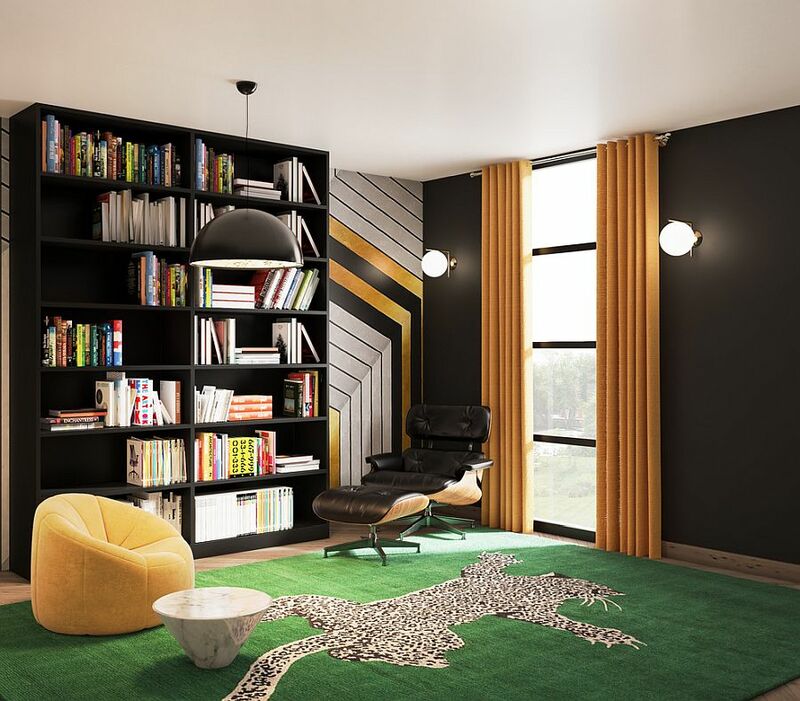 Changing lifestyles, technology that enables us to increasingly work from home and smart management of resources has seen the home office become significant part of new residences across the globe. 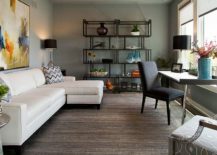 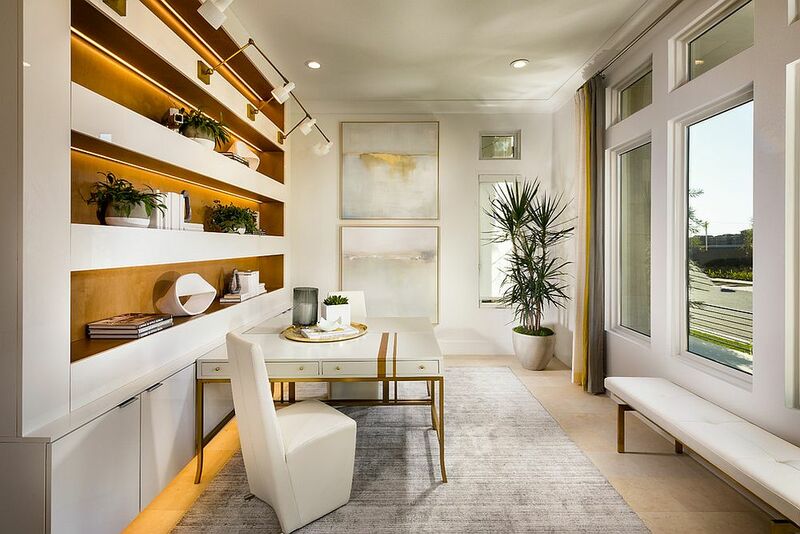 Of course, for many of us who do not have one already or live in an apartment that demands space-savvy design, finding room for one is a challenge. 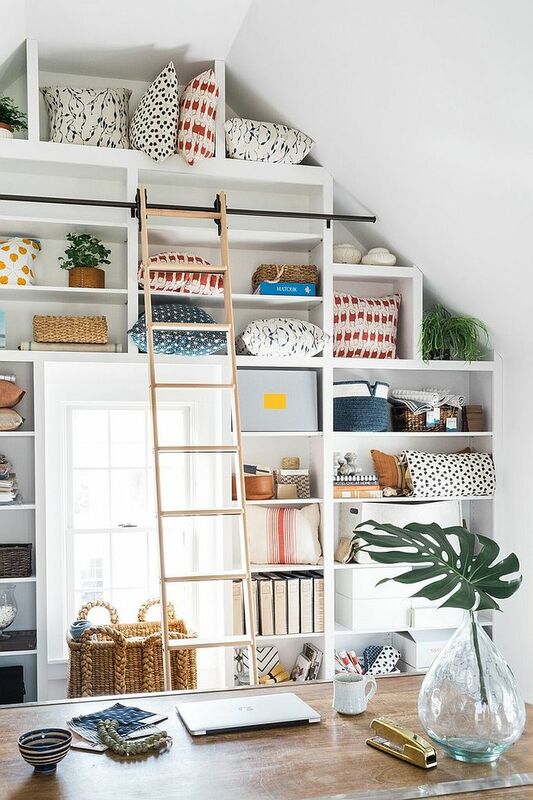 Dashing, organized open shelves make the job a whole lot easier! 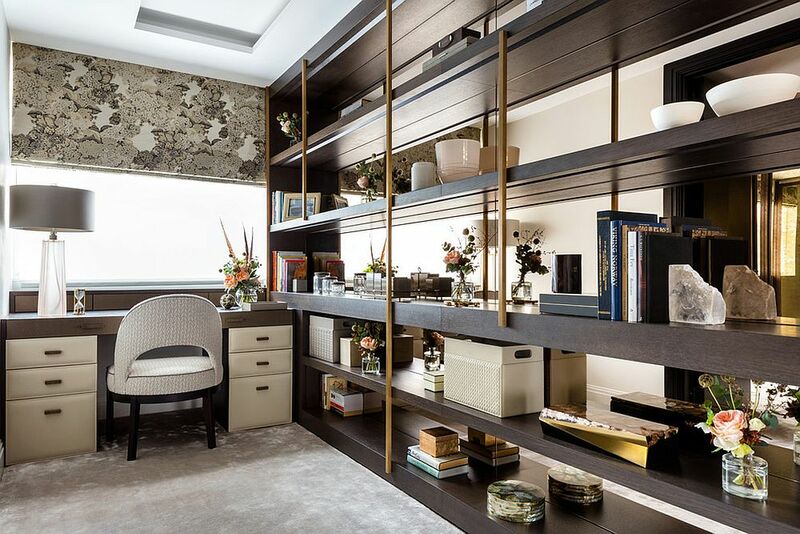 Smart shelving in the modern home office is an absolute must, irrespective of its size and the task that it is used for. 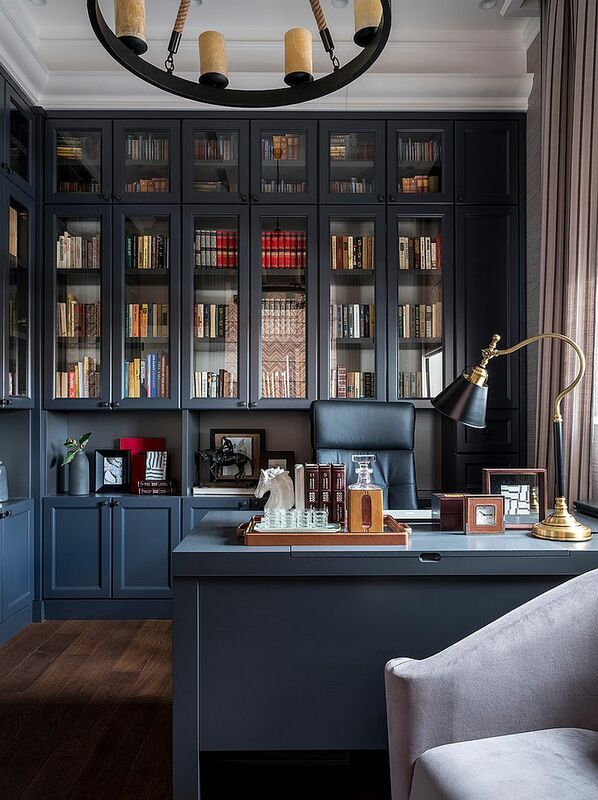 Open, extensive shelves give the home office an organized, elegant and even sophisticated vibe without sacrificing on ‘visual space’. 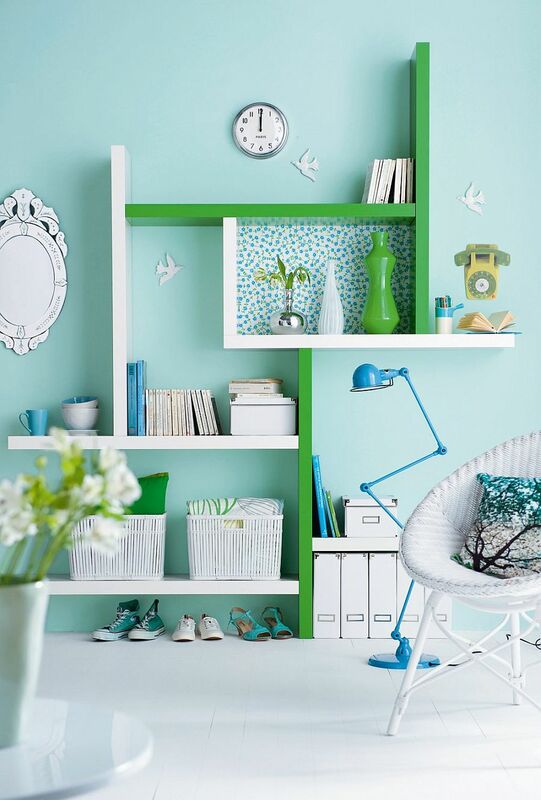 They also double as lovely displays when you do not really need to stack up tons of books, files or other accessories. 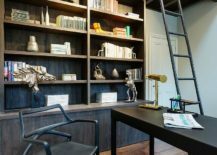 Multi-tasking and space-saving, this is a look at the best home office shelving ideas that improve your work productivity. 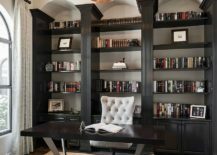 The easiest and undoubtedly most impressive way to add storage and display space to your home office is with a wall of smart shelves. 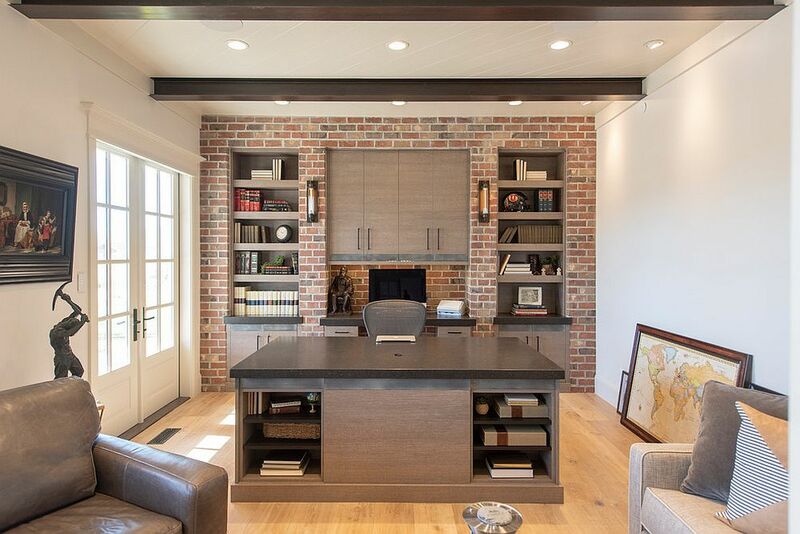 No, we are not talking about just using a few modular open shelves in the home office. 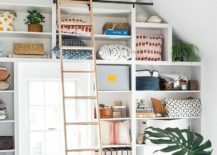 Instead, convert an entire wall in the room into a series of shelves. 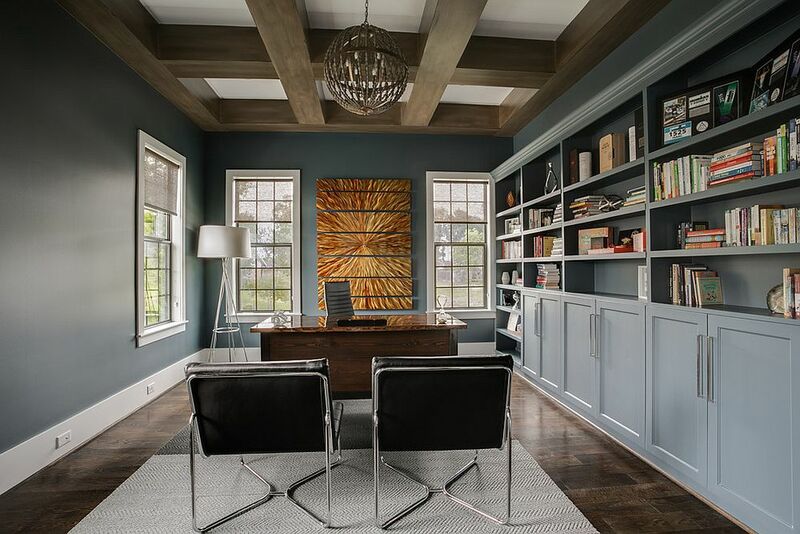 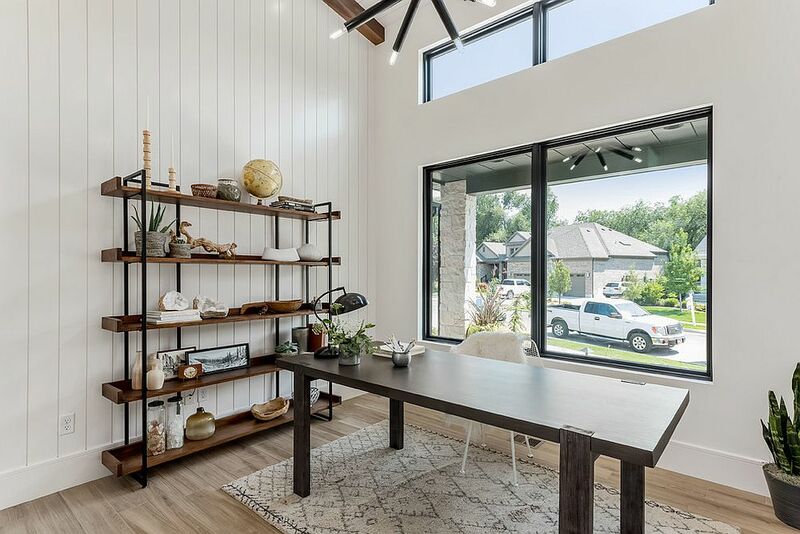 If your home office has a double-height ceiling, even better! 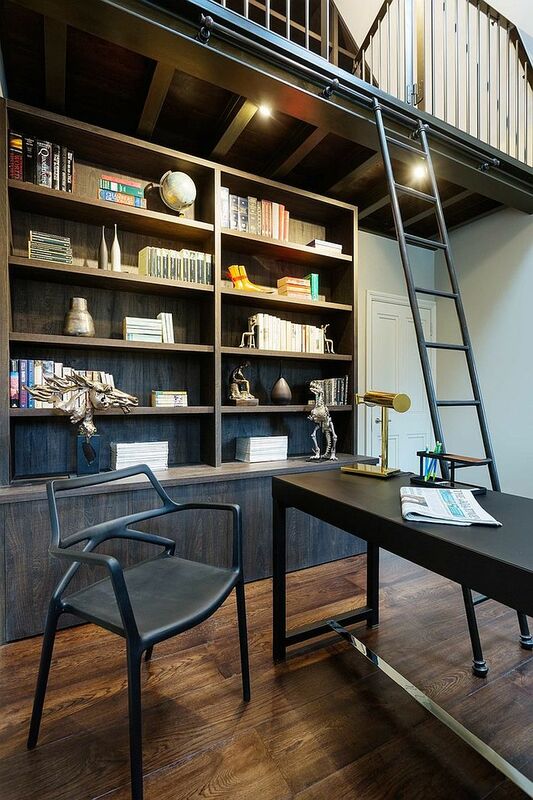 Now you can use a ladder to access the shelves at the top and this idea is absolutely ideal for homeowners who are also booklovers! 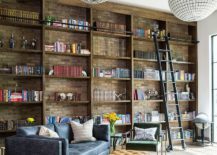 This wall filled with shelves can be your accent wall and its varying contents will paint a dramatic picture over the years. 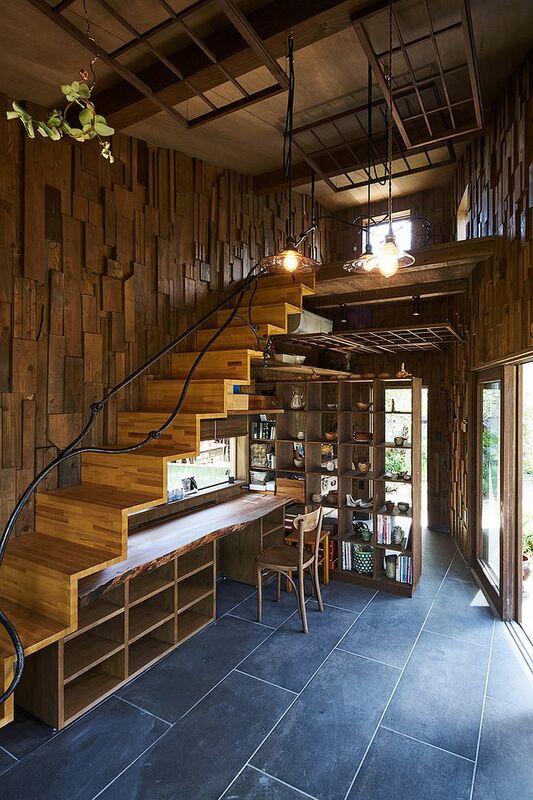 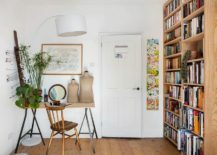 Already have a home office and feel that the ‘wall of shelves’ idea is simply too much of renovating work? 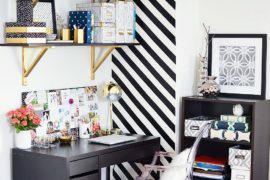 Not to fret, as we have the perfect alternative – a freestanding shelf unit that adds color, contrast or pizzazz to the home office! 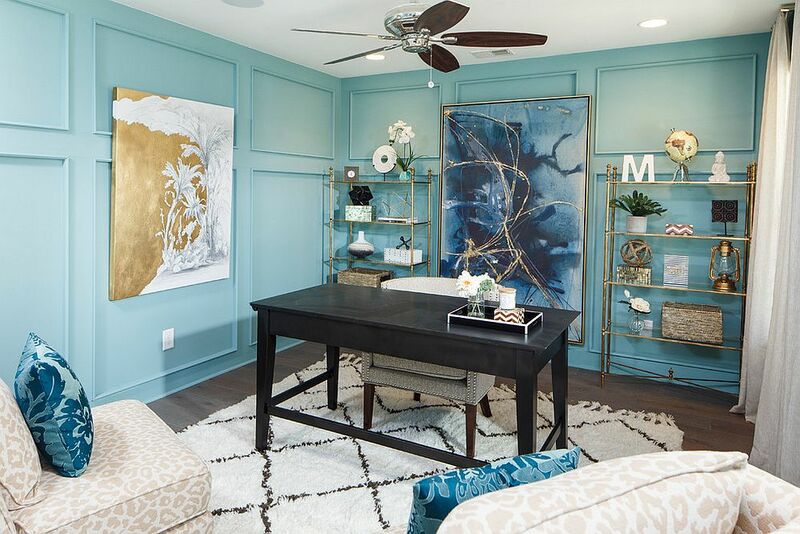 This one is all too easy to implement and it is only the color scheme, style and the overall dimensions of the room that determine your choice here. 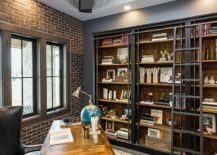 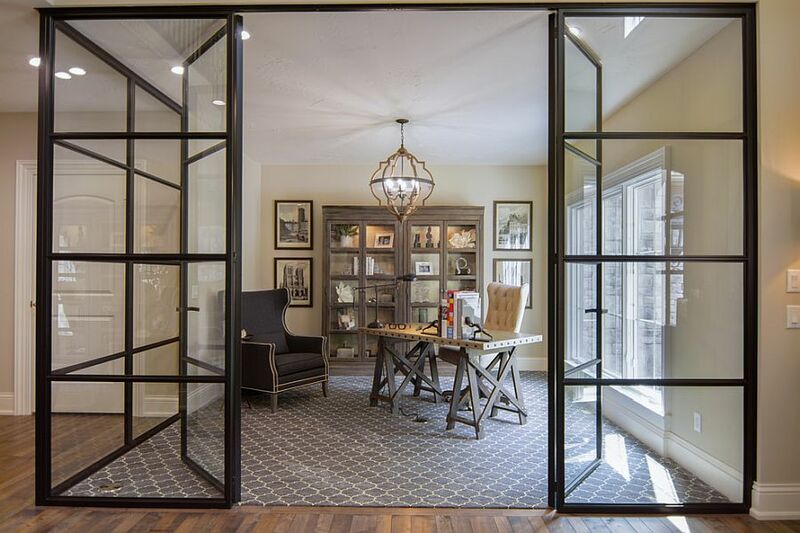 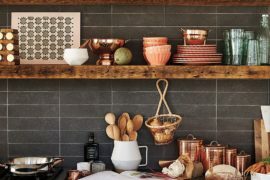 Shelves in metal and wood are currently a hot trend and they add both rustic and industrial overtones to the home office with ease. 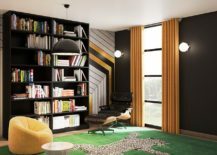 Even if you have a room that is distinctly contemporary, try one of these out and you will not be disappointed! 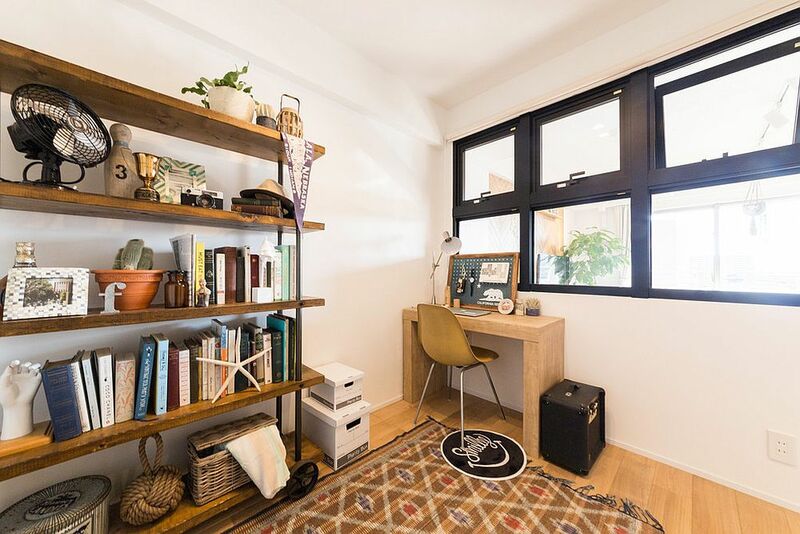 If there is one complaint that we have with open shelves, it is that they demand a certain sense of organizing discipline and a clutter-free design philosophy. 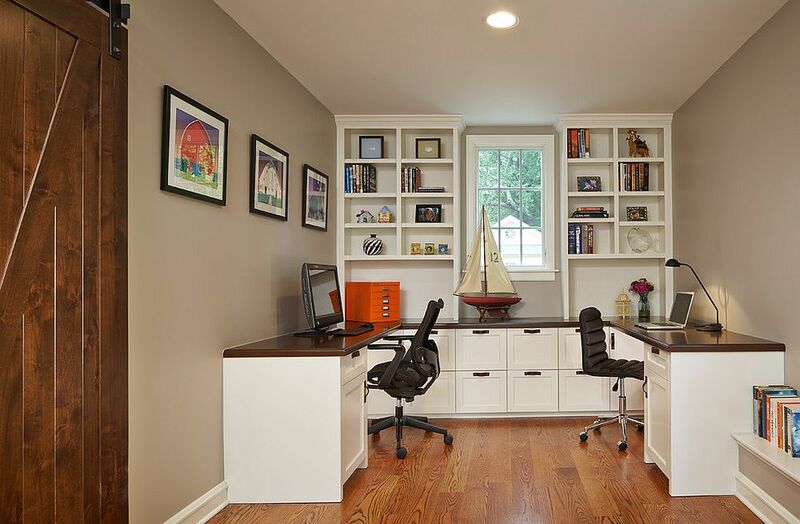 In case you feel that this is simply not possible in your home office, couple the open shelves in the upper half of the room with cabinets at a lower level. 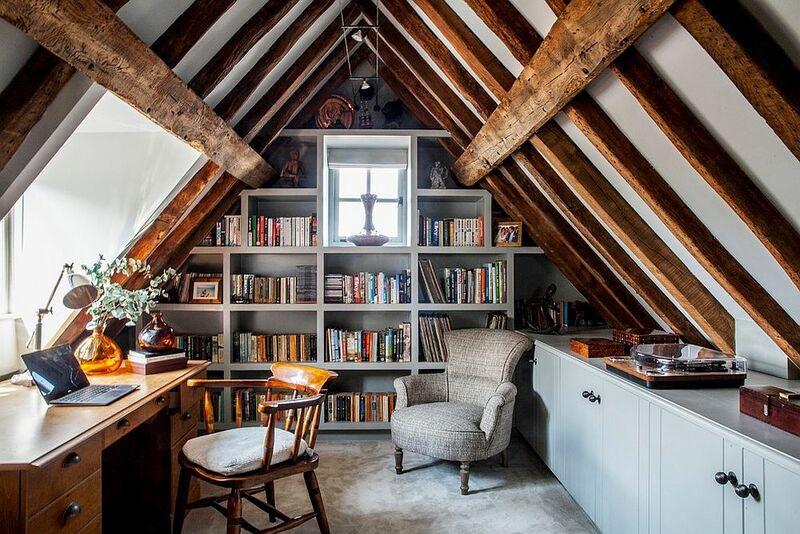 Again, this is not a revolutionary idea, but the classics are a classic for good reason! 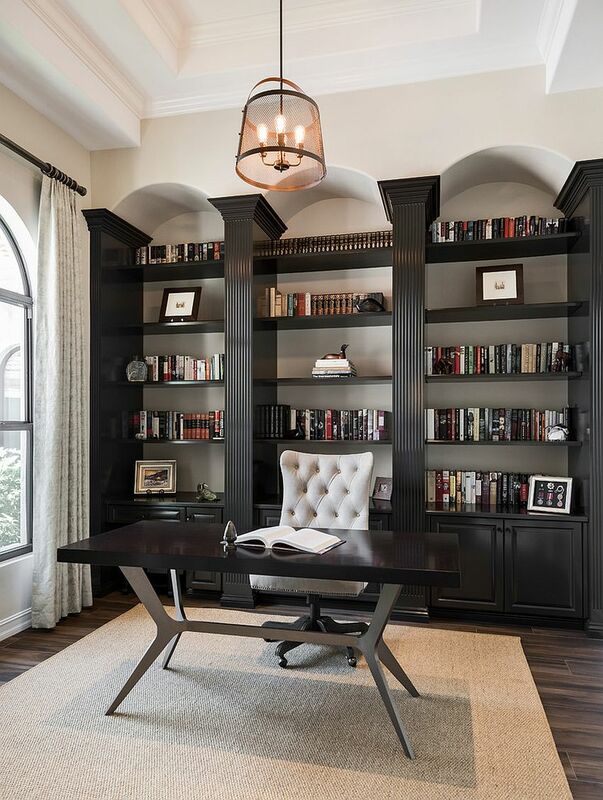 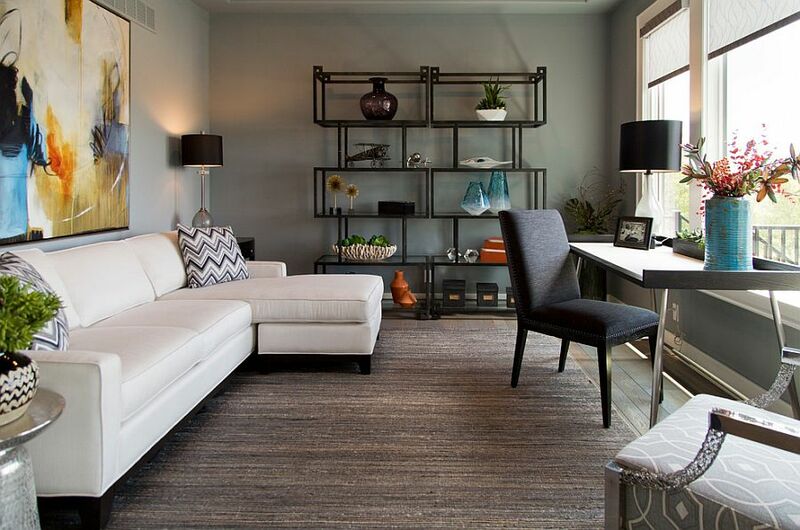 The hard part about adding shelves to the home office is undoubtedly finding space for them. 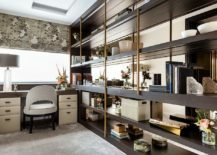 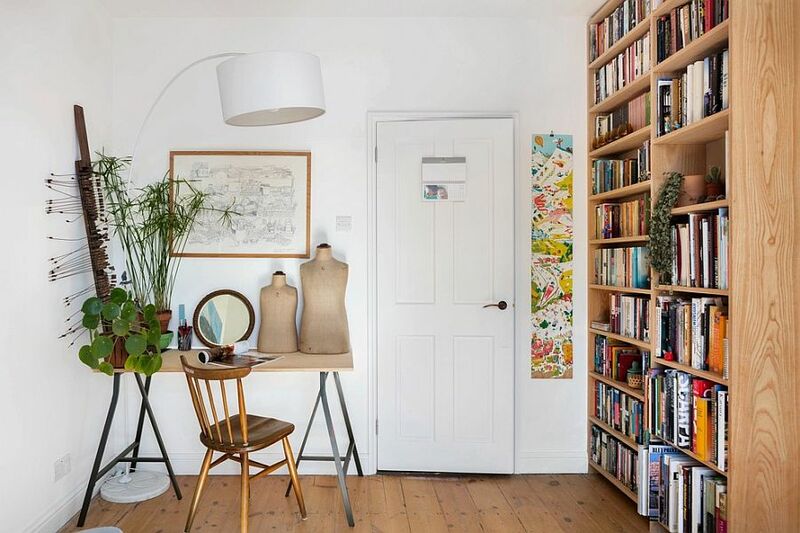 If you have a office that sits in an open plan living, then a smart divider that doubles as shelving can serve multiple purposes without wasting square footage. 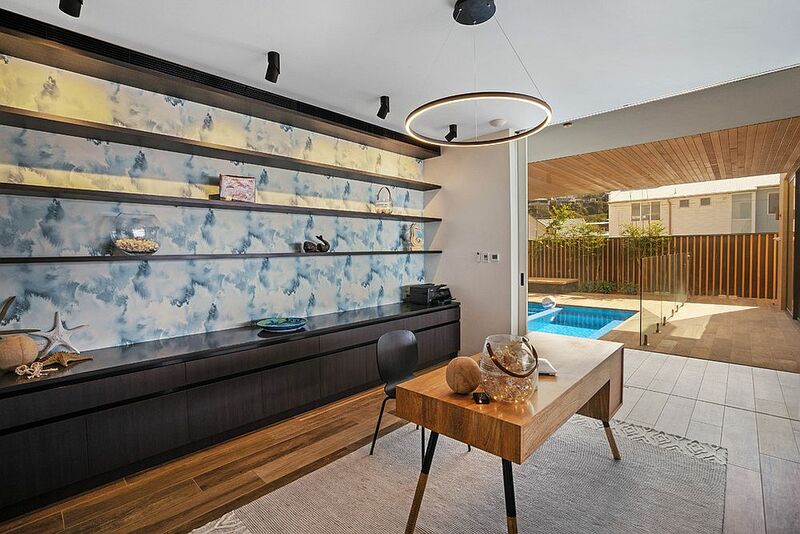 Slim glass shelves with strip LED lighting are more of an aesthetic choice than heavy-duty workers and are great for those who do not need too much shelf space. 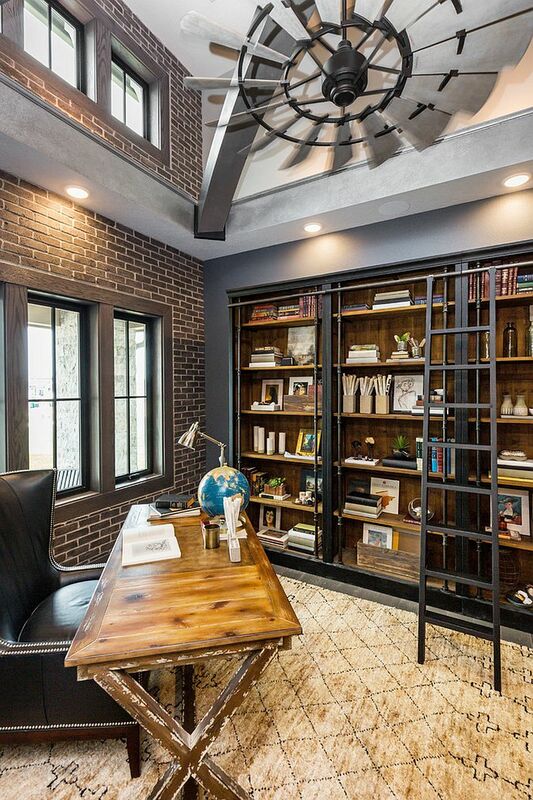 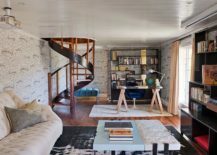 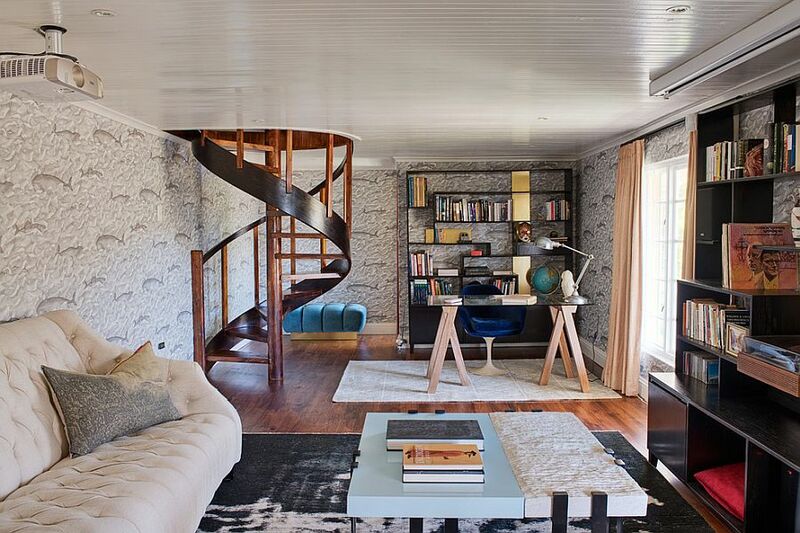 From space beneath the stairway to the wall above the desk, it all depends on your own home office and its unique floor plan.